Features: The wheat straw cup has a capacity of 280 ml. 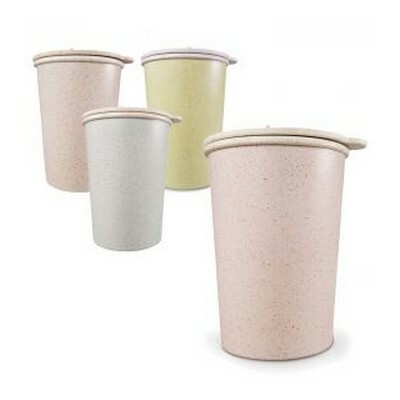 This wheat straw cup made of biodegradable wheat straw and double layer insulation design. Price includes : 1 COLOUR 1 POSITION PRINT. Setup is included.